Automakers selling vehicles in the EU could face unexpected fines and more than half of car buyers could face higher registration and ownership taxes because of a stricter type approval process introduced by regulators. Since Sept. 1 new cars have undergone laboratory tests performed under the so-called Worldwide Harmonized Light Vehicles Test Procedure (WLTP) before being approved for sale. This replaced New European Driving Cycle (NEDC) tests. Although WLTP data are used for homologation, a NEDC correlated value is used by EU lawmakers to determine CO2 emission targets for individual automakers, and also for registration and ownership taxes. An additional new test, known as the real driving emissions (RDE) test, measures pollutant emissions on the road for the first time instead of just in laboratories. The consequences of tougher testing procedures could have significant disruptive effects on the European market, according to market researchers JATO Dynamics. “Automakers had expected the new homologation process to increase CO2 emissions by around 3 percent, but the first findings for vehicles already homologated with the new procedure show much more significant increases compared with the same models tested with the previous procedure,” said Alessandro Paulucci, JATO’s head of service innovation for Europe. Under the new tests CO2 emissions for a 2.0-liter Volvo XC60 were 6 percent to 16 percent higher while on a gasoline model such as the Peugeot 308 1.2-liter Puretech, the increase ranged from 12 percent to 14 percent, JATI research shows. Full-electric models will need to account for 15 percent of the EU new-car market for automakers to reach a target of a fleet average of 95 grams per km mandated by the EU in 2021, up from 0.9 percent last year. Automakers may miss the current 130g/km target in 2019, exposing them to 1 billion in industrywide fines because all vehicles on sale in the EU will have to go through the new type approval procedure by August 31, 2018 at the latest. Car buyers in 10 markets that have a CO2-based registration tax regime will face higher taxes on their vehicles. “An increase of 3g/km in average emissions will translate into roughly 600 million euros extra in registration taxes. This most likely will be transferred directly to car buyers,” Paulucci said. They are France, Spain, Denmark, the Netherlands, Austria, Croatia, Finland, Greece, Ireland and Portugal. These countries represent 52 percent of EU sales. Car-ownership costs will rise significantly for customers in 11 markets with a CO2-based ownership tax regime. These markets are Germany, the UK, France, Belgium, Denmark, Finland, Greece, Ireland, Portugal, Sweden, the Netherlands. The exact increases are hard to forecast, JATO said. These countries represent 63 percent of EU sales. 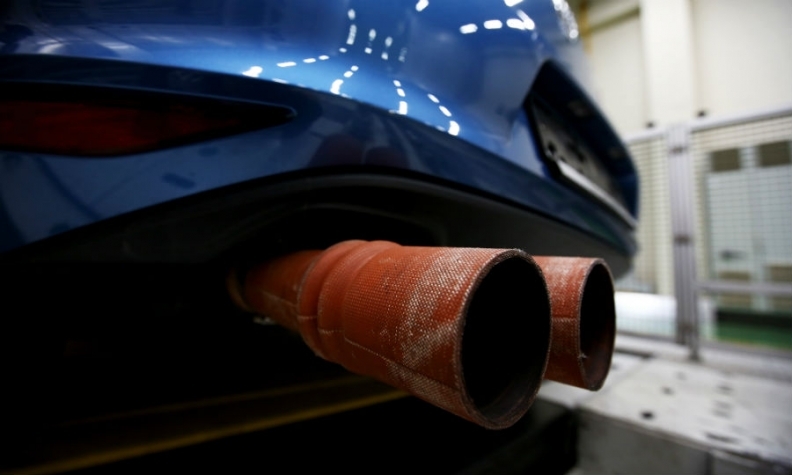 Automakers selling cars in Europe previously were confident that the expected 3 percent increase in homologated emissions under the NEDC correlated data could be easily absorbed because CO2 emissions had fallen by a 3.3 percent average from 2007 to 2015. But, said Paulucci, this situation has now changed because the combination of booming sales of less fuel efficient SUVs and falling sales of diesels, which emit less CO2 than gasoline cars, halved the average fleet emission reduction in 2016. "Last year, the SUV share of the European market grew by 2.3 percentage points, while diesels declined by 1 point, so average emissions were reduced by a mere 1.5 percent on 2015," Paulucci said. JATO estimates that from January to September, SUV sales gained an additional 3.8 points of market share, while diesels lost another 4.5 points of share, resulting in an average fleet emission increase of 0.1g/km. The pace of CO2 emissions reduction was already slowing because of higher SUV sales and lower diesel sales. As new models are homologated under the new WLTP and RDE tests and such cars account for a bigger weight on total sales, emission reduction improvements will be harder to achieve. "Since the EU began monitoring average fleet CO2 emissions, there was no increase year-over-year, so 2017 could be the first time this long-lasting trend could be interrupted," Paulucci said. If the current situation is worrying – both for the industry and consumers – the implementation of the new procedures that the EU has already approved could quickly make matters more complicated, Paulucci said. Under RDE, each pollutant should not surpass a conformity factor 2.1 times the WLTP test. The conformity factor was raised under heavy lobbying of the auto industry, which argued that a straight transition from NEDC to RDE would have been too disruptive. But RDE was introduced to make it harder for automakers to manipulate lab test results under either NEDC or WLPT. Under NEDC, some companies used tricks such as overinflating tires, adjusting or disconnecting brakes to reduce friction, and taping cracks between body panels and windows to reduce air resistance. Sometimes they even remove wing mirrors, according to pressure group Transport & Environment. The same “gaming the system” could still happen under WLTP testing but the conformity factor on RDE reduces the room for maneuvering. Paulucci said this could be the main reason why the WTLP results are considerably higher when translated into NEDC correlated results. The room for cheating the tests will progressively decrease because the conformity factor of RDE on WLTP will decrease from the current 2.1 to just 1.5 by 2025, something that JATO expects will further significantly increase CO2 values. This in turn will mean even higher potential fines for automakers and higher purchasing and ownership taxes for consumers.